This page highlights introductory Reference resources in General Psychology. Follow the link below to specific resources for individual courses in psychology and leadership, or get started with your research by clicking here. Need assistance with writing, citations, paper formats in General Psychology? 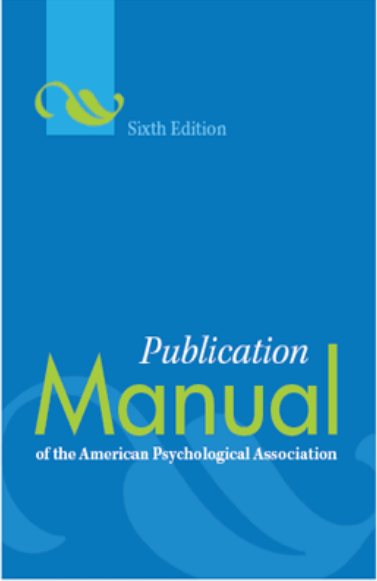 Use the APA Style Guide. Welcome to the General Psychology Research page! To the right, there's a list of (and links to) standard Psychology reference books available through the USMA Library. Below you'll find links to psychology databases where you can find journal articles on psychology and behavior topics and a subject heading guide to browsing books on various psychology topics by subjects on our shelves. You are also able to search Scout or the Library Catalog; all our books, ebooks, and journals can be found that way. Looking for journal articles on General Psychology topics? The USMA Library offers a variety of psychology databases that provide access to journal articles to help with your research. Find them by following the links below.